Love it or hate it, Gotham has been a hit for DC. I'm a huge Batman fan - big surprise to regular readers - and I love it. I don't love everything about it, and there are times I'd like to strangle the show runners, but overall it's a solid program. The story is about the city, hence the name, but central to that is Detective Gordon. 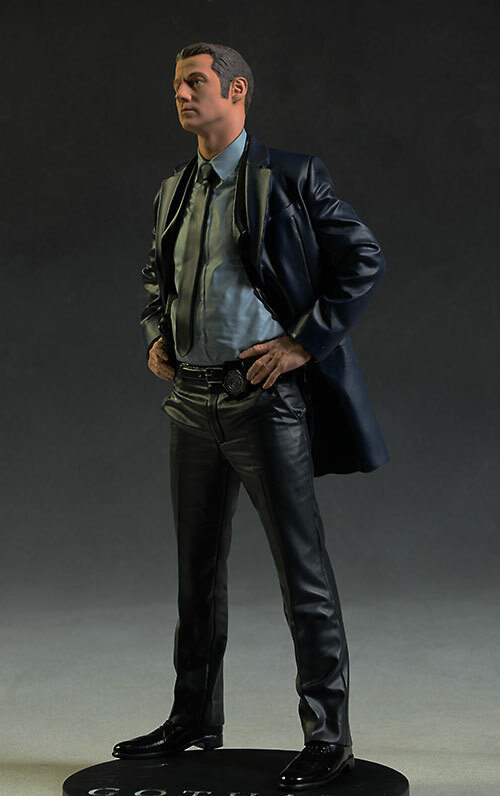 DC Collectibles has been doing a series of sixth scale statues based on the DC TV properties, including Flash and Arrow, so it's no surprise they added in a Gotham themed Gordon. While I enjoy those shows as well, I was not compelled to get those statues...Gordon was different. He's currently shipping from online retailers, and should show up at your local comic shop as well. Expect to pay around $100 - $110 for him, depending on the retailer. Same white box with basic graphics, no window, and no certificate of authenticity. These are not sold as a limited edition, so that last one isn't a huge surprise. The interior eggshell trays are made from the good, solid Styrofoam, and the two piece statue is held safe and sound within. It's collector friendly of course, since all you need to do is cut some tape to free him, but that's pretty much the expectation with any statue. Ah, here we jump right in to shark infested waters. There are two areas where there are major issues, but one is far more damaging than the other. But let's start with the good - everything from the neck down. Actually, you could raise that line to just below the nose, if you'd like. 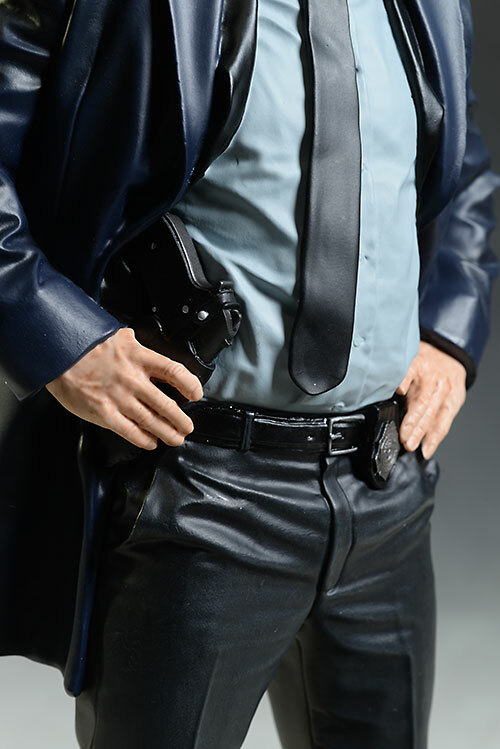 The clothing, gun, badge, stance...it's all very realistic and cleanly sculpted. Little details, like the slightly askew tie or the positioning of the hands, emote the character perfectly. Cut his head off and hand me just the body, and I'd know exactly who this was supposed to be. That's not easy to do when it's really just a guy in a suit. The other really good thing is the size. 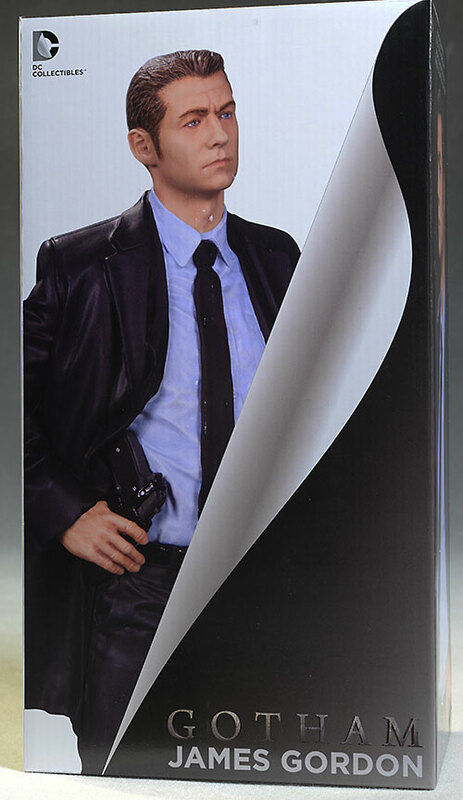 This is a true sixth scale statue, and Jim (on his own) stands just over 12" tall. Unlike the Tweeterhead statues, which are slightly too big, this statue will fit in perfectly (at least scale-wise) with any of your Sideshow or Hot Toys figures. But then there's the head sculpt. I say you could raise the line to just under the nose because I do think they captured his jawline and mouth perfectly. He has that pursed lip thing going on that tells you he's pissed. Even the neck itself, in terms of shape and size, looks just about right. But from the nose up, things go awry. The nose itself seems too large, with the eyes too wide set. The eyebrows are thick and large, and the more I looked at him, the more I disliked the overall placement, shape and size of the eyes, nose and bridge. That's not to say that he isn't a reasonable facsimile from certain angles. 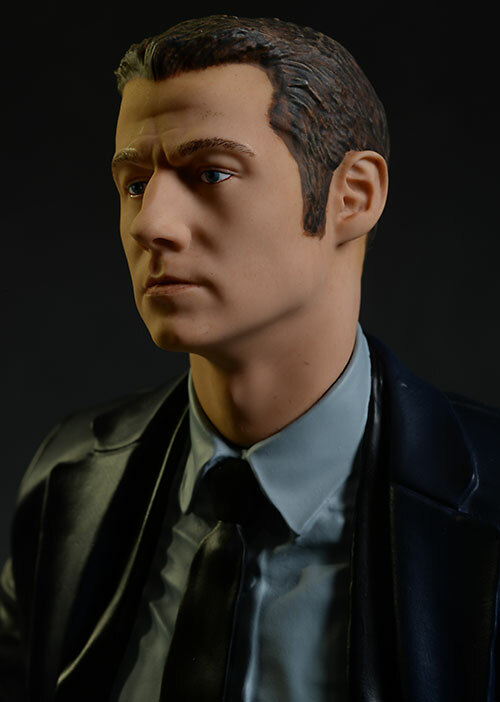 He is, and some of the issues with the likeness are due to the paint. But if I were grading this category on the overall quality of the likeness, he'd be at **1/2. So how did he lose another full star? Poor quality management, but in an area that's not obvious until you attempt to assemble the base and statue. You see, the pegs don't line up with the holes. And this is very, very important when it comes to a solid resin statue like this, because there is NO give. An action figure? No problem. Even with something like the Kotobukiya statues, made from the heavy PVC material, this is not a major issue because the material has at least a little flexibility. But if you attempt to squeeze Gordon's legs together (the holes in the base aren't far enough apart) you will damage the statue. Legs will break, or the posts will crack and damage the feet...something will give in a bad way. Trust me on this one - I learned the hard way many years ago. While this might seem similar to a sixth scale figure with a broken wrist, etc., it's actually worse. While you can easily repair a normal figure, there's only a couple options here, and none of them are particularly good. First, if this is not an overall issue with the statue run (it's possible the posts in the feet on mine aren't set exactly where they should be), then you can return it and get another. If that's not the case, you can try to CAREFULLY cut the metal post off, or otherwise remove it from the foot. This is not as simple as repairing an action figure because you can very easily damage the leg or foot in the process. 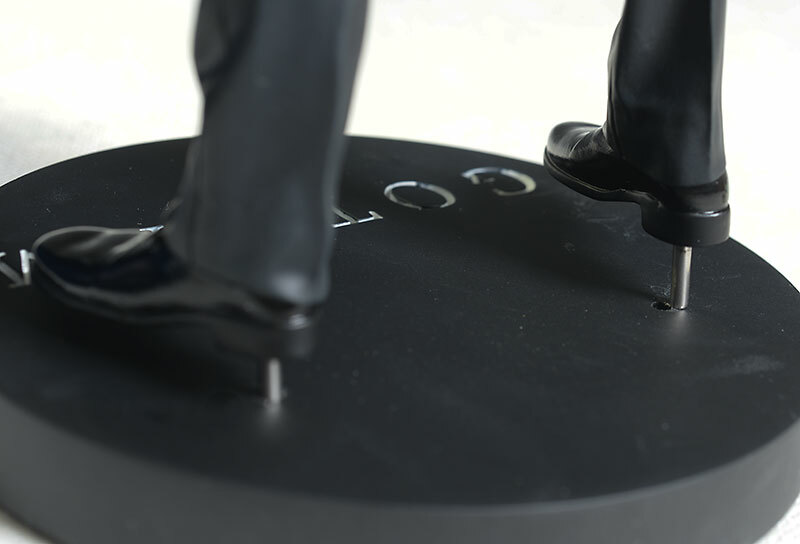 If any readers have received their statue and do not have a problem with the posts lining up, please let me know. If that's the case, I'm going to contact the dealer and return mine. If not, it becomes an even bigger problem. I've included a photo to show just how far off the posts are. When it comes to the portrait, I think part of the problem with the likeness is actually paint related. This is a real problem for statues, where they are using materials that simply can't match the realism of current sixth scale figures. Resin will never absorb the paint the same way, and it will never attain that depth of color and slight translucence that you see with a Hot Toys, Star Ace or Enterbay figure. Even so, this paint work is particularly flat and unappealing. The wide eyes have a mannequin appearance, and the eyebrows are dark and bushy. Even the lips are too dark, giving him a lipstick effect. The hair is well done however, and the majority of the work from the neck down is once again above average. The colors on the suit and shirt are excellent, and there's a nice consistency to tone and coverage. There's a little slop around a few of the edges, and I'm not digging the skin tone or sloppy work on the hands, but my overall impression of the body is quite a bitter better than the head. I'm not dinging them on Value here, largely because $100 is about what the current going rate is for statues this large, and it's been true for quite a few years. 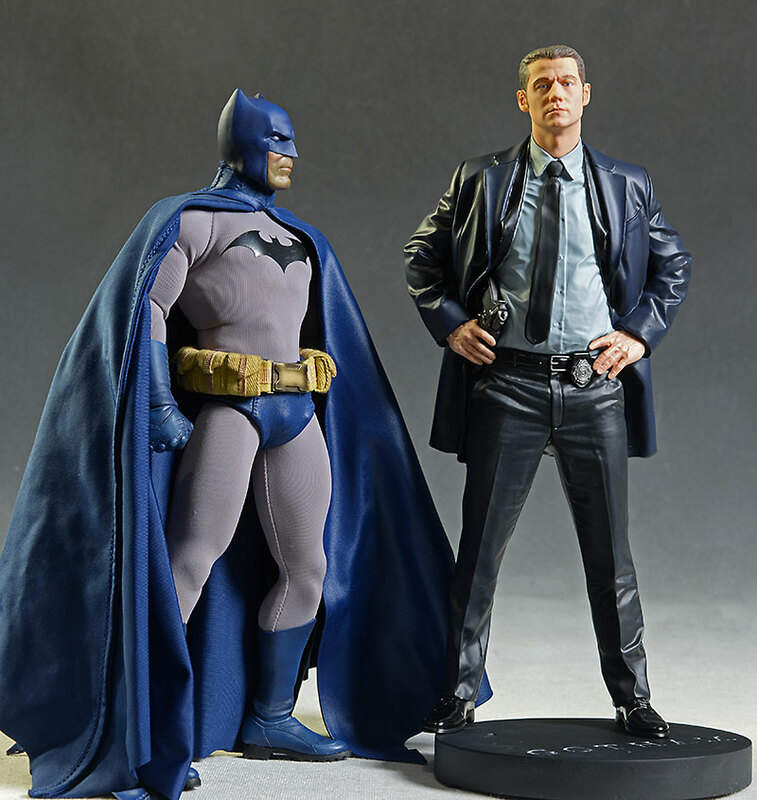 While smaller statues like Batman Black and White can come in around $70 or so, even statues in a 1/8th scale (think Cover Girls or Bombshells) will run you at least $100. Now, this particular release has some quality issues, but I'm holding out hope that the biggest one - the foot peg placement - is a one off and not a consistent problem. If you have the same issue I do, do NOT force the pegs into place. The posts are metal, and the stand and statue legs are not. You might be able to force the pegs into place, but they will not stand up to long term pressure. Instead, they will crack and break, and you will cry. Nobody is going to take back a statue you broke. I wanted to like this statue as much as I like the show, but unfortunately that didn't happen. The head sculpt is not up to expectations, and based on that, and the paint on said head sculpt, this figure would have scored **1/2. Add in the glaring issue with the foot pegs, and you lose another half star. It is correctable, but it won't be easy, and I'm hoping that this is merely a case where I drew the short straw. - comes in at $105. - Entertainment Earth is also at $105. 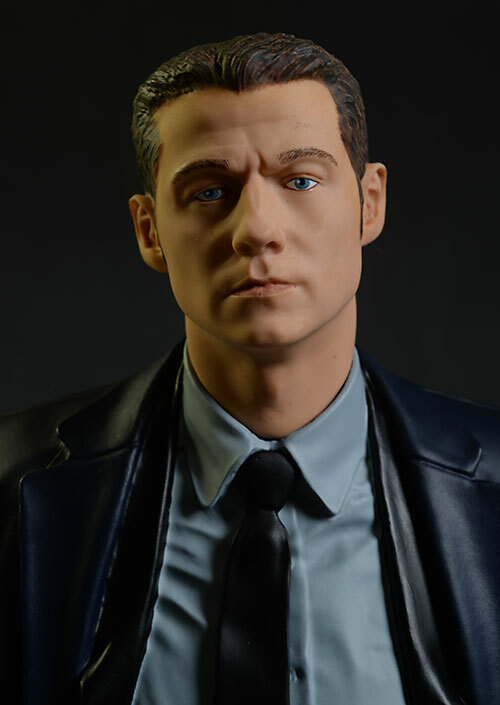 This is the first Gotham product I've covered (I'm still waiting for my series 1 figures), but I recently covered the Hot Toys version of Jim Gordon based on the movies.